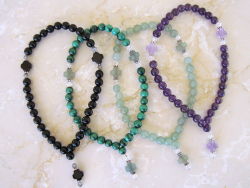 We first offered these stone prayer bracelets as an aid for women who work in the business world, as a reminder to pray without drawing attention to themselves. 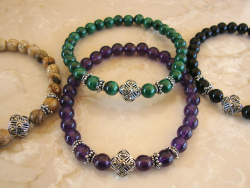 The prayer bracelets are embellished with sterling silver accents and a sterling silver cross-bead that gently sparkles with Swiss marcasite. 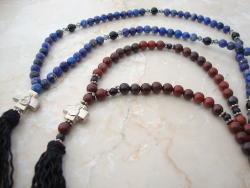 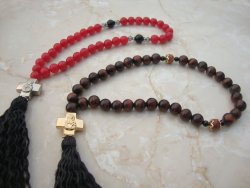 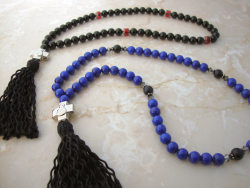 The beaded prayer ropes come in 33-bead, 50-bead, and 100-bead length options, and include harmonizing accent beads.